Bestway Clearwater pH Plus is the best way to avoid itchy eyes and skin because swimming pool pH levels have dropped below the recommended level. To avoid a dreaded dose of red eye its vital that acidity is controlled and pH Plus is a simple and highly effective way to achieve this. 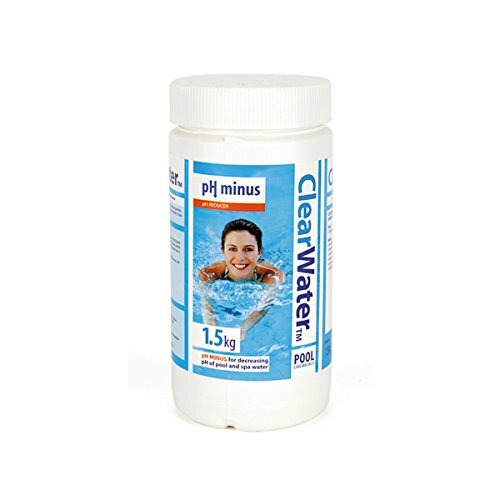 The recommended pH balance of pool water is between 7.2 and 7.6 (you can test pH levels using Clearwater Dip Test Strips, which are available on the Bestway Chemicals section of the website). When pH levels drop below 7.2 acidity increases and pH treatment needs to be applied. PH balance can be altered by leaves falling into the water, beetles enjoying a skinny dip, cosmetics from your skin and even urine. Applying the pH water treatment couldnt be simpler. After dissolving the recommended amount of pH chemicals in warm water you simply add the solution to the pool, increasing its pH level. After eight hours, pH levels should be checked again and increased or decreased accordingly. If the pH level climbs above 7.6 you should use Bestway Clearwater pH Minus, which youll find inside the Bestway Chemicals section of the website, to reduce it. As with all chemical products, instructions and warnings should be carefully followed and heeded. Thankfully Bestway pH Plus is labelled with all of the necessary precautions and warnings.